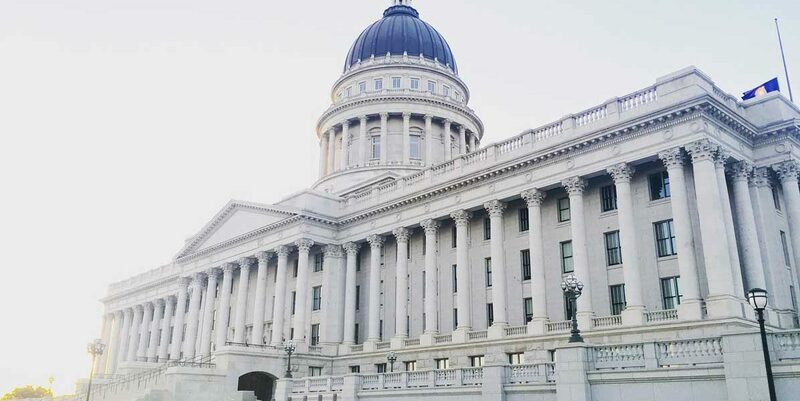 On September 13th and 14th, members of the Beverley Taylor Sorenson Arts Learning Program, from all over the state gathered at the Utah State Capitol to connect, learn and create. Specialists, principals, university partners all working together to create artful learning in our schools. 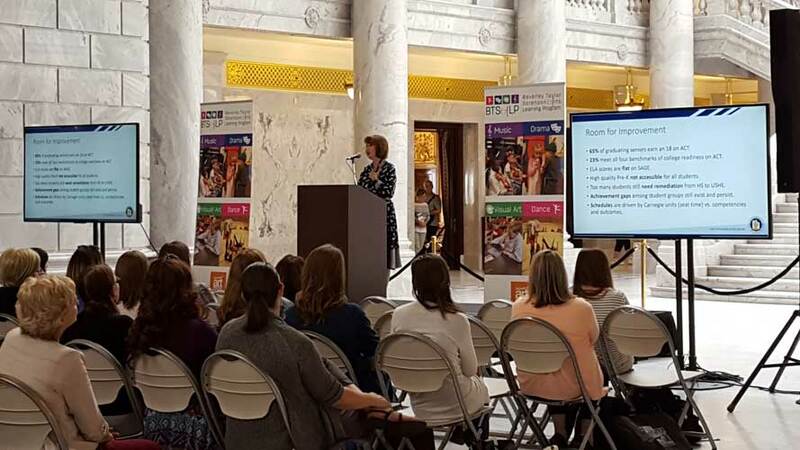 Sydnee Dickson, Utah State Superintendent of Public Education was the keynote speaker, Art and the Whole Child, and kicked the conference off on a positive note. Success stories of specialists making a difference with a class, school, or individual students were shared. Over the two days of the conference, breakout sessions were conducted in all 4 art forms centered around the book, Locomotive by Brian Floca – an historical picture book about the Transcontinental Railroad. Presenters (Endowed chairs and Professional Development Partners who specialize in the various art forms) modeled high-quality standards-based lessons to use as a basis for later discussion. Participants were encouraged to create 4 strand lessons: Create, Present/Perform, Respond, Connect. Drama specialists were up and moving – Building Informances, Creating Still Life Museums, and discussing and acting out drama teaching strategies. Visual artists used text from the pages of Locomotive, as inspiration for their own artistic interpretations. Music specialists work with beat, musical instruments and song. A picture is worth a thousand words so watch the BTSALP music specialists in action below! the pic of Cathy Jensen leading the band is just the greatest image! Send it to me and allow me to work a little photoshop magic on it!